This year’s celebration of the Butler High Holy Days began today with a trip to Dayton to see Hawthorn Hill, Orville Wright’s home for over 35 years. In 1912, Wilbur and Orville Wright purchased a 17-acre tract of land in the Dayton suburb of Oakwood. Named for the abundance of hawthorn trees on the property, the home was designed by the Dayton architectural firm of Schenck and Williams. Wilbur died before construction began, so when Hawthorn Hill was completed in 1914, it became the home of Orville, his sister Katharine, and their father, Bishop Milton Wright. 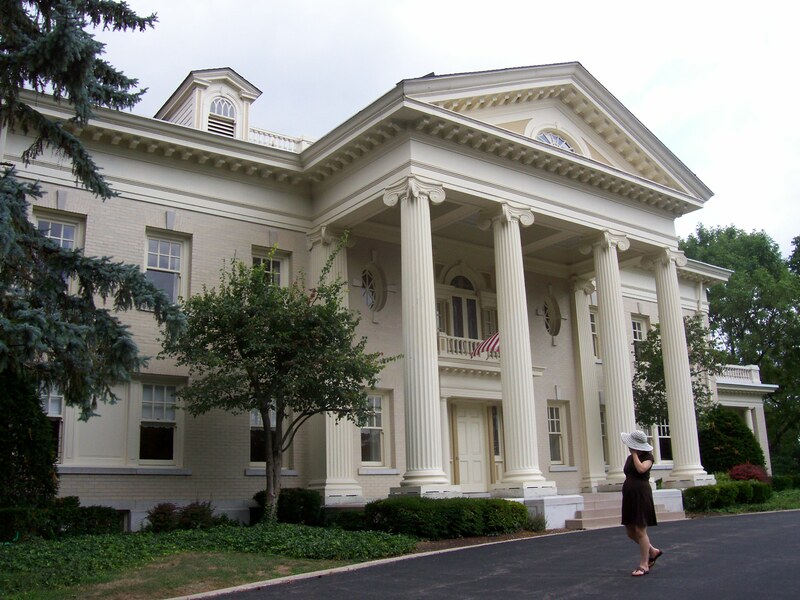 A distinguished group of people visited the Wrights at Hawthorn Hill, including Henry Ford, Thomas Edison, Charles Lindbergh and Alexander Graham Bell. Steve, our friendly and knowledgeable guide from Dayton History, led us through the home. As we made our way through each room, he shared interesting Wright family stories and historic details about some of the furnishings on view. 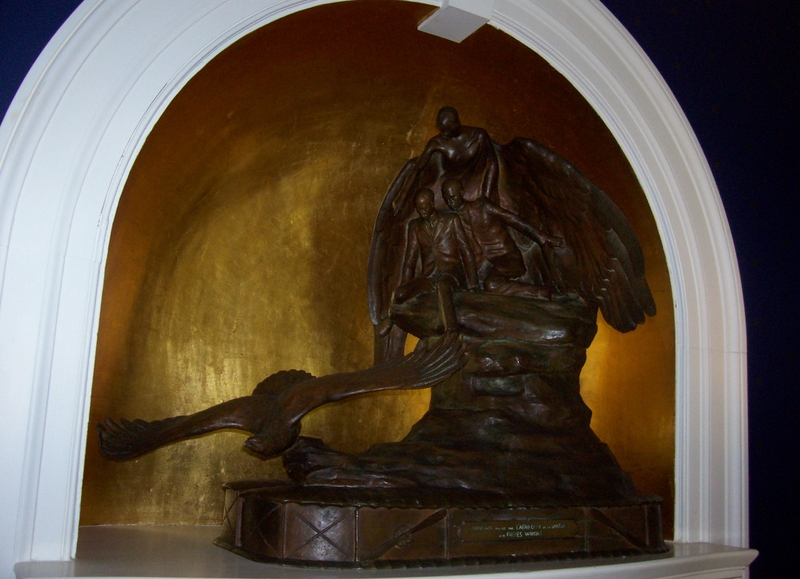 For example, a reception room to the right of the entry hall features a niche especially constructed for “The Muse of Aviation,” the bronze sculpture presented to the Wright Brothers in 1908 by the Aero Club of Sarthe, France for their early aviation achievements. In the dining room and adjoining alcove where Katharine liked to have her breakfast, Steve told us about how close the Wright family was. Despite his shyness, Orville loved playing practical jokes on his family. During one Thanksgiving dinner, a mechanized “cockroach” that Orville had fashioned ran down the length of the table, much to his family’s horror and his delight. Upstairs, we saw five bedrooms, including Katharine’s spacious room in the center of the second floor. 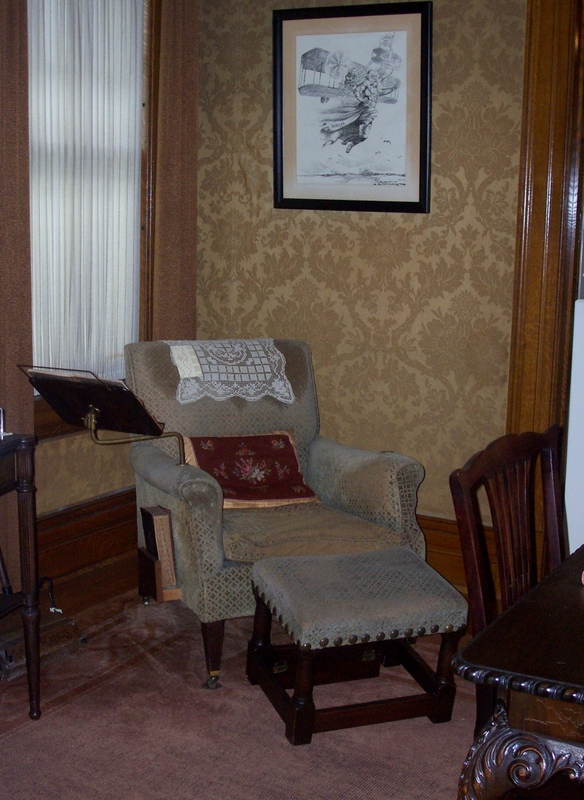 This room opens to a small balcony where Charles Lindbergh waved to crowds of well-wishers who had gathered on the lawn to greet him during one of his visits with Orville. In the bedroom where Bishop Milton Wright died, we learned about the importance that the Wright children’s parents placed on education and how they encouraged their children to be curious about the world. To prove his point, Steve shared a replica of the French helicopter toy that Wilbur and Orville made as children and talked about the pair’s early work on printing presses and bicycles. In the next room, we learned about Orville’s nieces, Ivonette and Leontine, who were both married at Hawthorn Hill. Making our way to Orville’s bedroom, we passed through his bathroom, which features a three-sided “needle” shower. Originally, the shower had two curtains: one was turquoise; the other was a tarpaulin that was part of the same tarpaulin that had covered the Wright brothers’ 1903 plane. As we stood in Orville’s bedroom, we looked at a picture of Orville and his beloved St. Bernard, Scipio, and heard how Orville carried a picture of Scipio in his wallet until he died. As you would expect in the home of someone who loved to tinker with things, Hawthorn Hill features some unique gadgets. Along the baseboards, you can see outlets installed as part of a central vacuum cleaning system that Orville had built into the house. 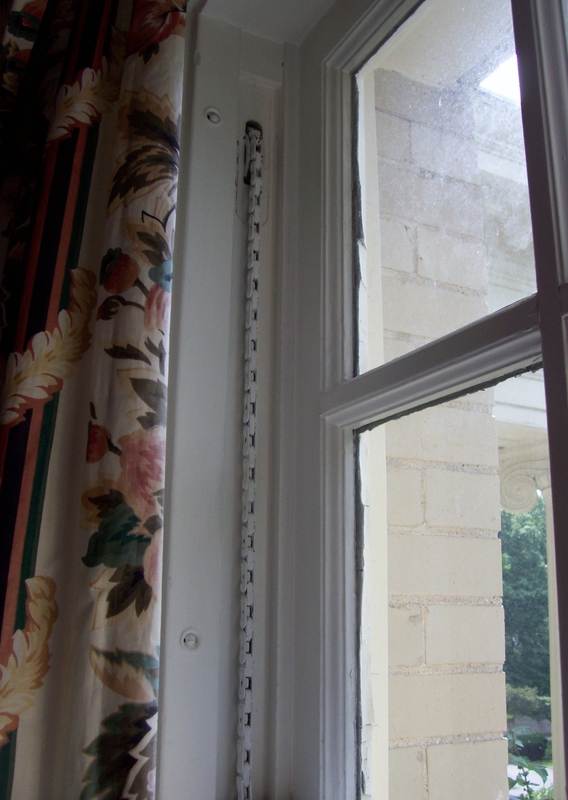 Looking carefully at some of the windows in the home, you can spot the bicycle chains that Orville used in their construction. When Orville died in 1948,the National Cash Register Corporation (NCR) purchased Hawthorn Hill. For the next 60 years, Hawthorn Hill served as NCR’s corporate guest house. The company returned the property to the Wright family in 2006. Soon after Orville’s death, NCR photographers took pictures of every room in the home. Today, those photographs offer an insightful glimpse into the home’s interior design and original furnishings. As we toured each room of the home, Steve passed around enlarged prints of those photographs for us to see, which made our visit even more interesting. 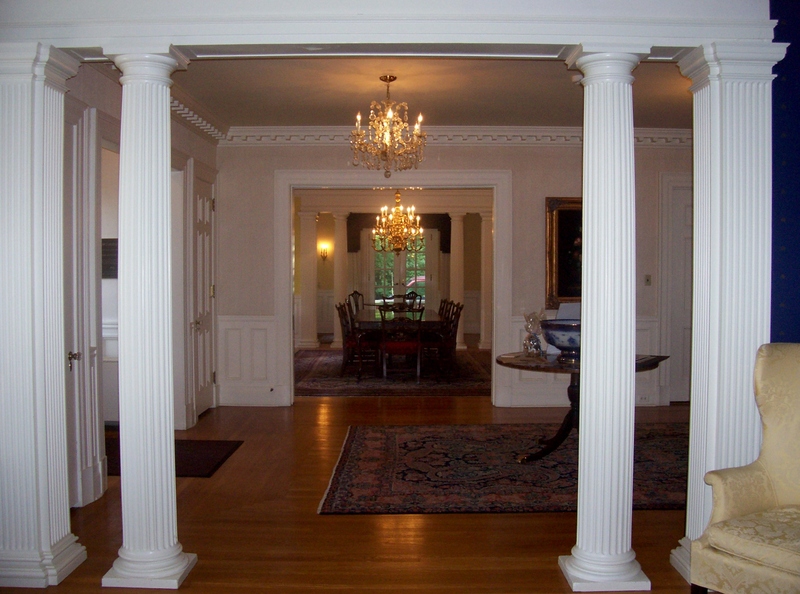 You can make advance reservations to tour Hawthorn Hill on Wednesdays and Saturdays. For more information, click here. To make the most of your visit, Steve recommends reading The Bishop’s Boys: A Life of Wilbur and Orville Wright, by Tom D. Crouch. This entry was posted in Architecture, Dayton, History, Museums, Travel. Bookmark the permalink. Thank you for your interesting and informative account. We plan to visit there some time.